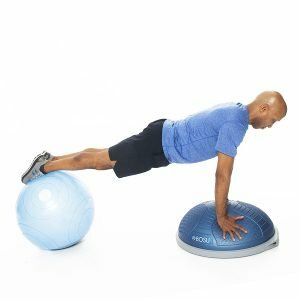 BOSU® MINDFUL MOVEMENT & MOBILITY – 201 – Dynamic Duo Inc. In this evolved body weight training workshop, explore multi-dimensional methods to effectively create a stronger body and improve core function. 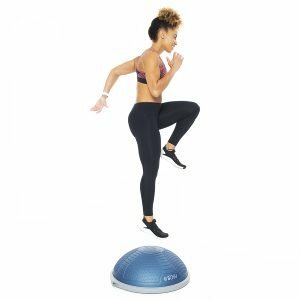 Utilizing the unique features of the BOSU® Balance Trainer and the principles of fascial line training, learn movement complexes to build total body strength, stability and mobility, with a focus on integrated, mindful movement. Examine common mobility and stability imbalances and discover how to correct them by creating movement efficiency through the trunk, hips and shoulder complex. Practice breathing techniques that will enhance core activation and enrich the quality of every movement. Prepare to be challenged with advanced training techniques and new ideas! Explain the benefits of mindful movement training and the concept of movement quality over quantity.